New research published in the journal JAMA illustrates how cardiometabolic multimorbidity can significantly reduce one’s life expectancy. Cardiometabolic multimorbidity is characterized by a patient having two or more of the following conditions: diabetes, heart attack, or stroke. It affects approximately 10 million adults in the U.S. and Europe. 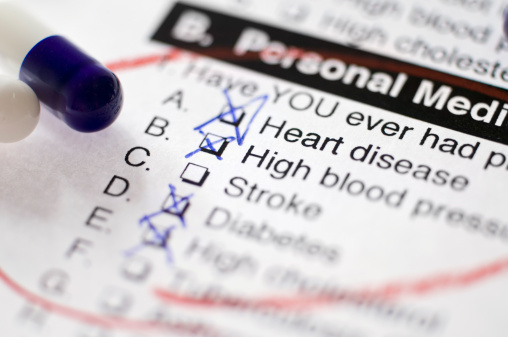 Researchers from the University of Cambridge in the U.K. analyzed data to estimate the death rates among people with a history of diabetes, heart attack, or stroke. They analyzed people who had a combination history of two or more of these conditions as well as people with no history of these conditions. The team looked at data from the Emerging Risk Factors Collaboration, which involved 689,300 participants from group studies conducted from 1960 to 2007 (data from this group included 128,843 deaths). The team then compared this data with information from the UK Biobank, which involved 499,808 participants from group studies conducted from 2006 to 2010 (data from this group included 7,995 deaths). Researchers discovered that 40-year-olds who had a history of diabetes, heart attack, or stroke can experience a 23-year reduction in life expectancy. Participants who had a history of one of these conditions were twice as likely to die in comparison to participants who had no history of the three conditions. Participants with a history of at least two of the conditions were four times more likely to die, while participants with all three diseases saw their death rate increase eightfold. The study suggests that life expectancy based on the history of cardiometabolic multimorbidity could be reduced by 10 to 11 years. Researchers concluded that men were more likely to experience a reduced life expectancy due to cardiometabolic multimorbidity compared to women, although more research needs to be done to understand why. Whiteman, H., “Combination of stroke, diabetes and heart attack significantly reduces life expectancy,” Medical News Today web site, July 8, 2015; http://www.medicalnewstoday.com/articles/296355.php.